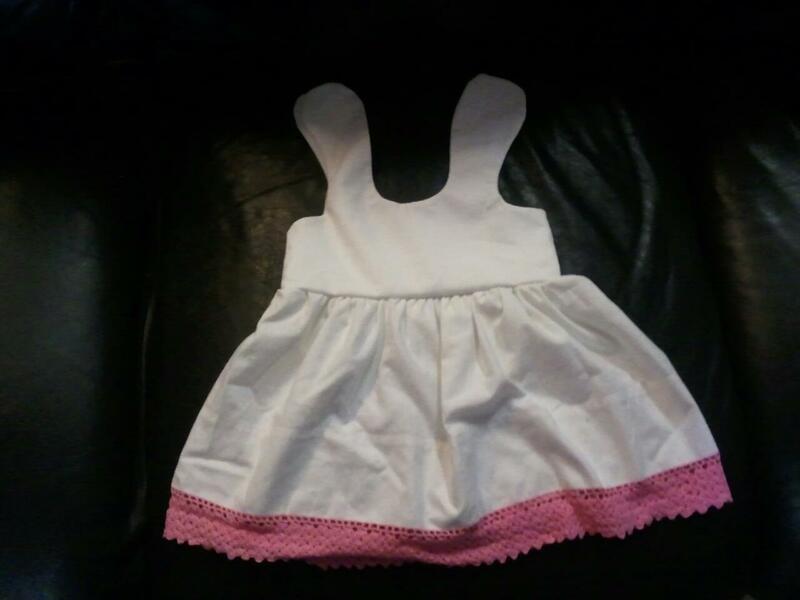 I found this free pattern from Made By Rae for an adorable baby dress and I knew I had to make it for Little Bit. These terrible cell pics below show the outcome. 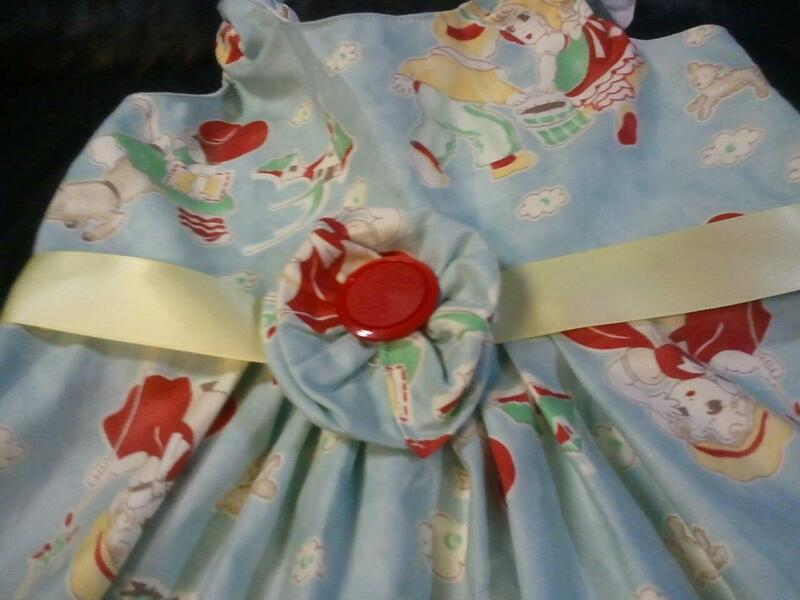 The first one I made from some fabric I bought when I first found out I was pregnant. 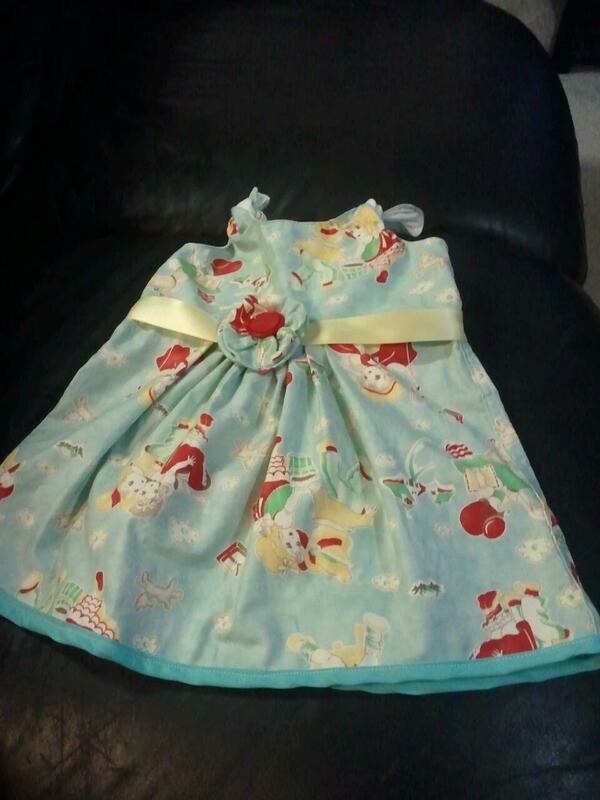 It is lined with a soft white knit fabric under the bodice to be gentle against baby’s skin. I pleated this one and as seems to be my wont, despite care taken to make it even, I got it a bit off-centered so I added a flower with a button from my grandmother’s sewing supplies in the center. The trim along the bottom of the dress was also courtesy of her saving everything and I’m so thankful to make this dress just that much more heirloom for my little girl than it already was. The second run through was really quick and dirty because I used a vintage pillow case with a beautiful crocheted trim along the open end for the dress. Its lined with more of the case and it is so sweet in white. I’m debating whether it will get any embroidery in pink to break up all that white and would love some feedback. So the pictures are crap because they were taken with my camera. You can’t really see color or texture correctly- sorry about that. But I can now prove that I’m working on this dress. Not sure I like the fabric because its too thin, but its a good run through till I can get some fabric I do like. This dress isn’t quite finished- if you look closely at the armholes you’ll see they kinda gape and are still rough but its mostly done. Done enough certainly for me to decide that I probably won’t wear it (sigh) but if I do finish it, it would be cute and comfy for summer wear. Just too see through till I can get it lined. So see I’m not crazy or a liar. I appologize for the poor quality of the pictures. Aack not to flattering either are they? !